With the double whammy of the World Athletics Championships and the gripping excitement of the Vuelta, not to mention some other commitments, my TV viewing has taken a bit of a back seat. So don't even expect me to get through that backlog any time soon! Of course a show like Doobidoo would never be commissioned over here in a million years - it would just be too 'light entertainment' - panel game shows these days are usually staffed by the same old comedians bouncing private-joke irony and sarcasm off each other. I did manage to finish "THE SABOTEURS" (More 4) which has been a gripping series - with a shocking ending - but it was one more subtitled gem. I'm very happy that television channels over here are finally waking up to the idea that there is life beyond the UK and USA. Now if someone could just buy the original Swedish version of Humans??? Pretty please?? More4 seems to be the latest go-to place for subtitled drama. 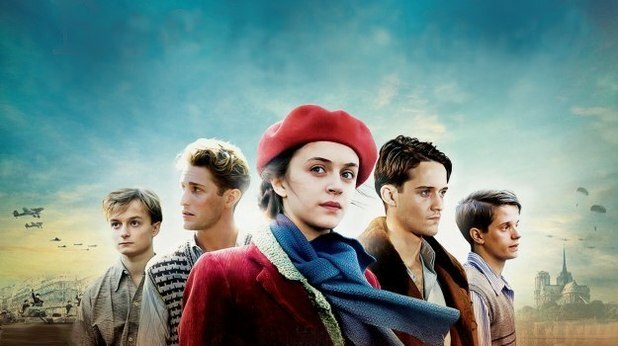 After The Saboteurs ended, it was replaced by "RESISTANCE", a highly rated French series about a group of heroic young people battling the Nazis in France during World War II. I've watched the first two episodes so far and it's compulsive viewing. A message to TV schedulers - can you all stop scheduling my subtitled telly at 9pm on a Friday night? Apart from Resistance there is also Dag on Sky Arts and Days of Honour on STV Glasgow at the same time. At least I can get round recording them all by putting Resistance on More4+1 on series link. I had gathered a backlog of several episodes of "DAG" (Sky Arts) on my Sky+ box so had a little binge-watching session last weekend. If you haven't seen it, it is a Norwegian sitcom and the humour is blacker than black. The lead character, Dag, is a marriage guidance counsellor whose life is more messed up than any of his patients. Dag is surrounded by a weird and wonderful supporting cast of friends and family, notably his best friend Benedict who gets into a number of amusing scrapes along the way and inevitably ends up the worse for wear. For a comedy, this is an incredibly 'deep' show and may not be to everyone's taste - I was ready to abandon it at the beginning and didn't really get into it until about 3 or 4 episodes in, but it's well worth watching if you're in the right frame of mind. It's a dark show but has some incredibly poignant moments too. Sky Arts is currently showing series 2 but I believe it has run for 4 series. If you ever have a bad day at work, then reassure yourself that at least you don't work with Ian from Poundworld in Burnley. He's a real-life retail Alan Partridge. 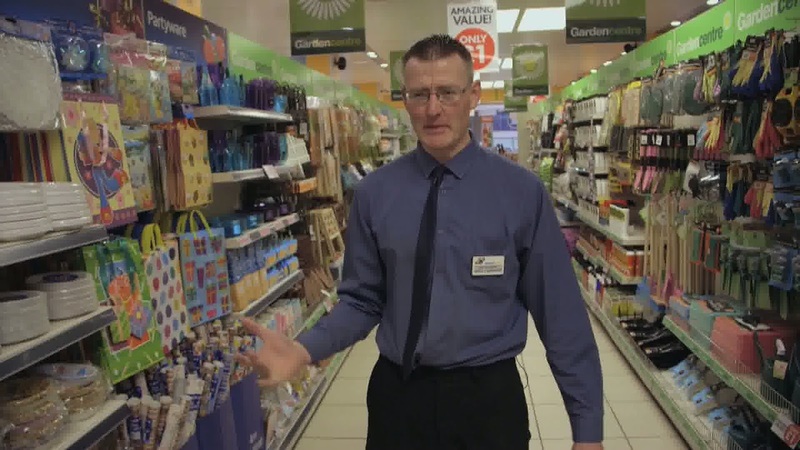 He's one of the stars of "POUND SHOP WARS" (BBC1) which has returned for another series; chronicling the efforts that Poundworld and Poundland go to, to keep those customers coming in. It's a lightweight and undemanding way to spend a half hour, but we still have to suffer the excruciating Caroline Aherne voiceover. Irritating beyond belief. Pound Shop Wars is just one of many people-at-work docusoaps which have been filling up the TV schedules over the last couple of years. But what about when work is over and it's holiday time? Simples. Let's do "ordinary people on holiday"! Let's rip off Gogglebox! And the result = "TRAVEL GUIDES" (ITV). Of course it's TV's perception of "ordinary people" who inevitably in the name of 'entertainment' have no concept of the real joy of travel and holidays, and only care about getting on TV. I'm not suggesting that ITV bring back "Wish You Were Here", but please, someone, somewhere, give us some intelligent and informative travel programming! BBC Northern Ireland's "Getaways" did get the thumbs up from me earlier this year, because it reminded me of "Holiday: You Call The Shots" which I really enjoyed from a few years ago on BBC1. But we live in dumbed-down times. And never was this more obvious than on "THE SATURDAY NIGHT STORY" (ITV), yet another subliminal attempt by ITV to try to convince us that despite all the great Saturday night TV over the years - and I remember a lot of it! - that basically, it's all about Ant and Dec. And X Factor. The only redeeming feature on this lazy 2-part Saturday night retrospective filler? Only the long-awaited reunion of the Gladiators! Now there is one Saturday night TV classic which I think is ripe for a revival: entertaining family viewing for a Saturday night with no Ant, Dec, or Cowell in sight. Gladiators - ready! There seems to be an annual tradition when "THE CHASE" (ITV) is on its traditional summer break, We are usually subjected to deliberately bad replacements so that we will long for The Chase even more. Well, this year we had two replacements; the first was "FREEZE OUT", an air-hockey themed game so embarrassingly bad that it should probably go the same way as "Take On The Twisters" (remember that one? No, please don't). Mark Durden-Smith was a personality-free host, with his "slide on!" catchphrase falling flat at every opportunity. 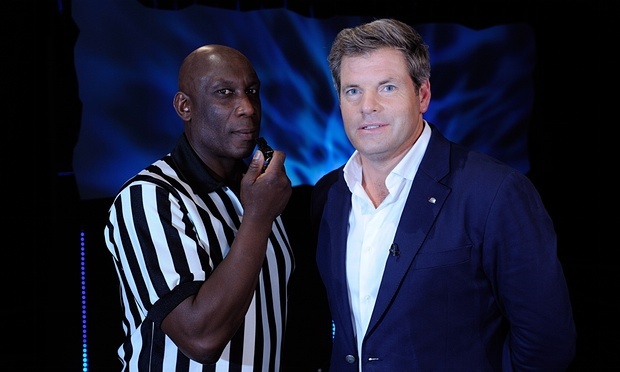 The only redeeming feature was po-faced 'ice judge' referee Uriah Rennie - and my research tells me he's an actual proper football referee - a potential cult figure who was wasted on this show. 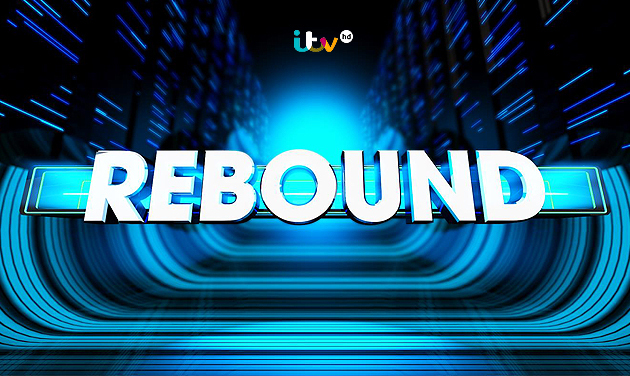 Maybe he could have got a transfer to the other summer replacement for The Chase - "REBOUND" which does have potential, perhaps in the 4pm Tipping Point slot? It was a fast-paced, decent enough show - although I thought host Sean Fletcher was a little bit rude to the contestants sometimes - and I could see it coming back. Hopefully it's not been 'beaten by the bar'. Hooray! 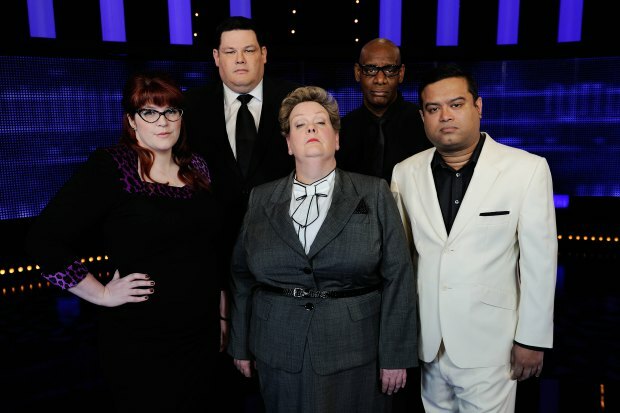 "THE CHASE" (ITV) is back in its teatime slot after that summer break. And they've brought a new chaser with them - Jenny "The Vixen" Ryan, who seems quite nice just now compared to some of the other panto baddies - although if you watch some of the old episodes from the first series over on Challenge, even the Dark Destroyer wasn't half as grumpy as he is these days! Later this month ITV is celebrating 60 years on air. "ITV CHANGED MY LIFE" looked back at how the channel had changed the lives of those who had appeared on its programmes, including the flight simulator champ on The Krypton Factor who became a professional pilot; Glasgow's very own Gary Mullen who appeared on Stars In Their Eyes and continues to make a living from his Freddie Mercury tribute act; the couple who met and married on "Blind Date" (they also had a lot of TV coverage around the time of the recent death of Cilla Black) and the cross-section of children whom we followed into adulthood in the 7-14-21-28-35-42-49-56 Up series, which is one of the best programme formats ever invented. On a more serious note the programme also looked at how World In Action managed to overturn the wrongful imrisonment of the 'Birmingham Six'. If anything, this excellent documentary just left me full of regret and sadness at what ITV has become - a dumbed-down shadow of its former self.